1. When putting the back mount on there are various ways of securing yourself to your partner so they cannot escape. This variation is known as the seat belt. One arm goes over the shoulder and one arm goes under the arm pit. Clasp your hands together and keep your head close to the back of his head. Great for no Gi grappling. You can also be back mounted with your partner facing down and you on his back. 2. Be sure to keep your feet hooked to your partner’s thighs. Keep the press pointed down to the ground so he can’t slide down. Do not cross your ankles! You can get foot locked. 3. Here is another way to hold onto your partner, Grabbing under your partners arms and grabbing his lapels. This way helps to steer your opponent and keep him from sliding down. 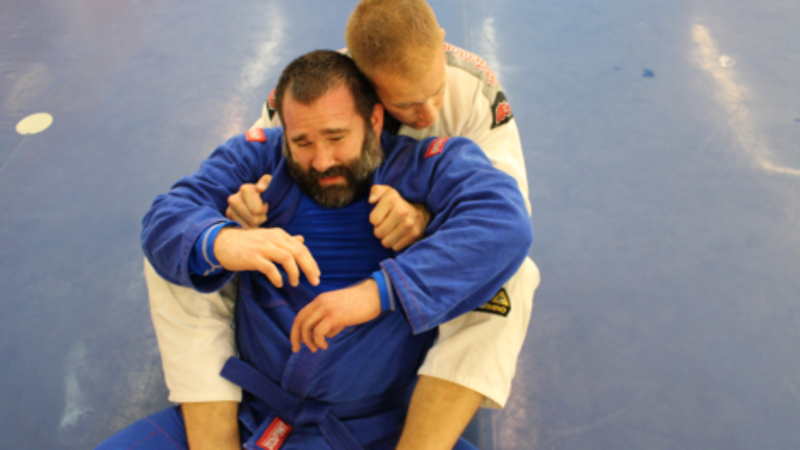 This is a Gi only move. 4. Grabbing your partners hand is also another way to control. In this picture once the hand is grabbed the student in the white Gi can also grab his own left wrist with his right hand for more control. 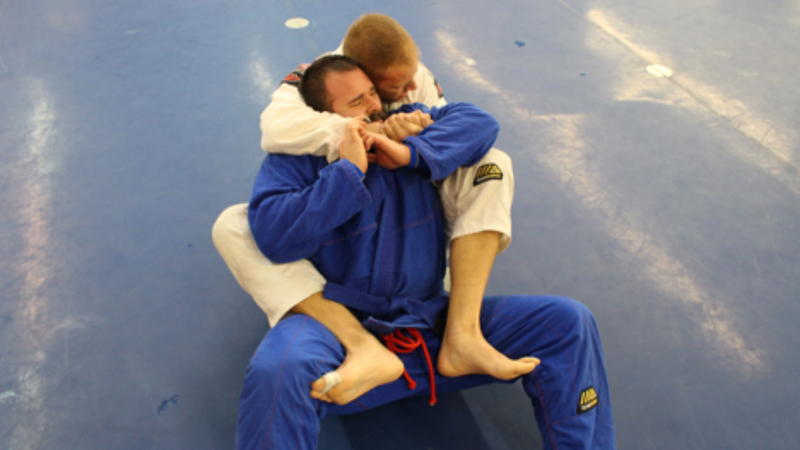 DON'T MISS OUT ON BJJmoves UPDATES! Enter you email below to receive a FREE BJJmoves Video. You'll also receive BJJmoves updates, including new video releases, free videos and more.